According to insurance and automotive groups, more than 11,000 accidents occur each year in which a vehicle ends up in the water. Moreover, an estimated 300 people drown each year in their car or truck, many of which could have been avoided. This is just about accidents that result in people ending up in the water though, there are so many more accidents that just stay on the road. If you have experienced a car accident though then it might be a good idea to check out someone like this Surrey car accident lawyer to help you. However, at least with an accident on the road, you don’t have to worry about being able to get yourself out of the car, unlike when you crash into water. In most water crashes, a vehicle will float for a period of time before the weight of the engine pulls the vehicle under. This should allow the driver enough time to calmly follow the procedures that can get him out alive. However, most deaths are a result of panic, not having a plan, and not understanding what is happening when a car is sinking. Staying calm absolutely is the number one priority. Once you lose that control, you pretty much lose everything else. When things go wrong underwater, there’s not time for any second chances. You have one brief opportunity to get the seatbelt off and get either the window down or the door open and get out of the vehicle.”, said Jason Morss, Firefighter/Paramedic of Fort Lauderdale Fire-Rescue Department, Florida. Brace yourself for impact. As soon as you’re aware that you’re going off the road and into a body of water, adopt a brace position. This is done by placing both hands on the steering wheel in the “nine o’clock and three o’clock” positions. The impact your car makes could set off the airbag system in your vehicle and any other brace position could cause serious injury in such an event. 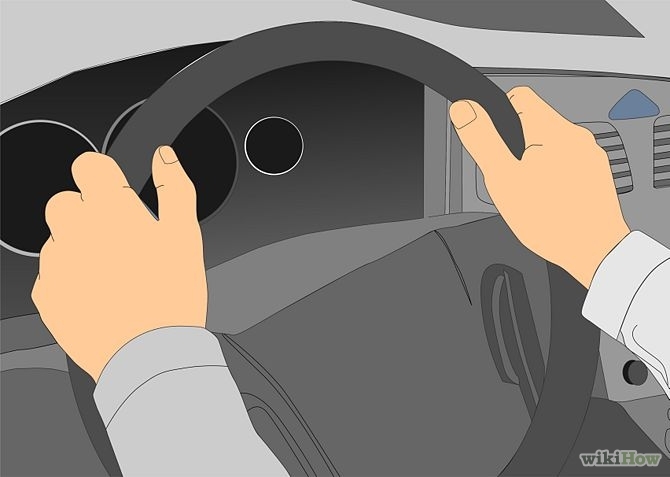 If your hands are located at the “ten o’clock and two o’clock” positions when the airbag inflates, it could force your hands into your face resulting in serious injury. Remember, an airbag inflates instantly, within 0.04 seconds upon being triggered. Once this aspect is out of the way, prepare for the next step immediately. Remain calm. Panic reduces energy, uses up precious air, and causes you to blank out. Repeat a mantra of what to do to get out (see next step) and stay focused on the situation at hand. Panic can be left for the shore when you reach it. Undo you seat belt. 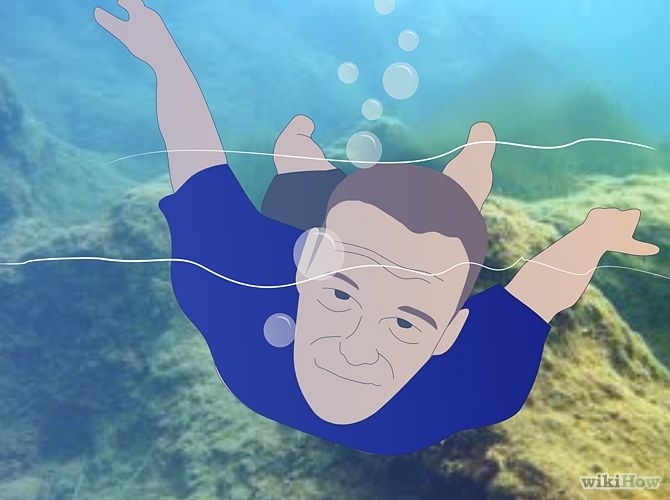 Professor Dr Gordon Geisbrecht, who specializes in cold water immersion, says that the seatbelt is the first thing to attend to, yet it often gets forgotten in the panic. His motto is: Seat belt, children; window, out (S-C-W-O). Unbuckle the children. Starting with the oldest first who can then help the others. Forget any cell phone call. Your car isn’t going to wait for you to make a call, so people have lost their lives trying this. Get busy getting out. NOTE: There is a counter-theory that suggests the seat belt should be left on. 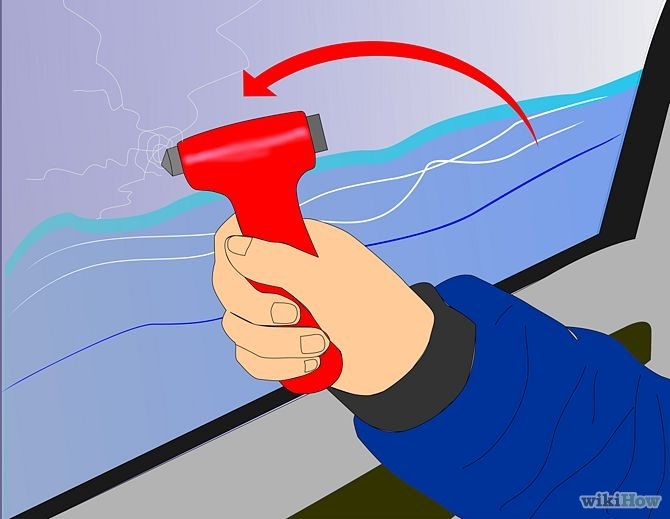 This theory suggests that if you release your seat belt, you may, due to underwater disorientation; end up moving away from the window or door opening due to the inflow of water through the opening. 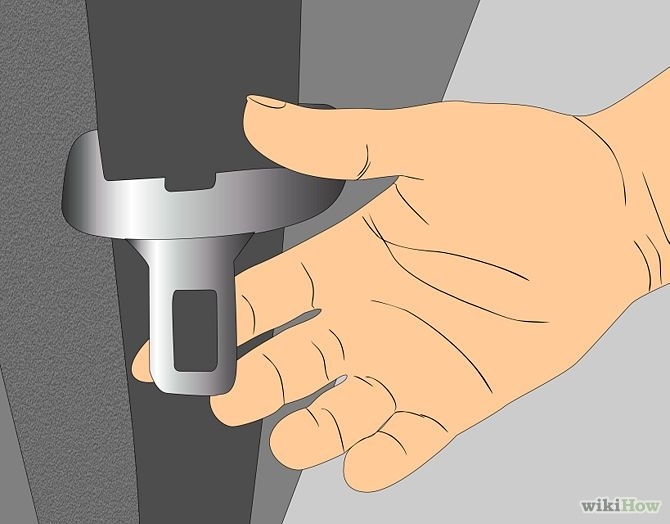 If you need to push the door open, being anchored by the seat belt might give you additional leverage, versus pushing the door while you’re suspended in the water. Having your seat belt, on could also help you maintain your sense of orientation if the car flips upside-down. On the downside, having your seat belt on can also make it harder to get out quickly and to move out, which is the point of reacting quickly from the start and not waiting in the vehicle. Open the window as soon as you hit the water. Following Professor Giesler’s recommendation, leave the door alone at this stage and concentrate on the window. Each car’s electrical system works for different amounts of time, and you have less than one minute, so try the method of opening it electronically first. Many people don’t think about the window as an escape option either because of panic, or the use of it as an exit, or because they’re focused on misinformation about doors and sinking. There are several reasons for not bothering with the door according to Professor Giesler. 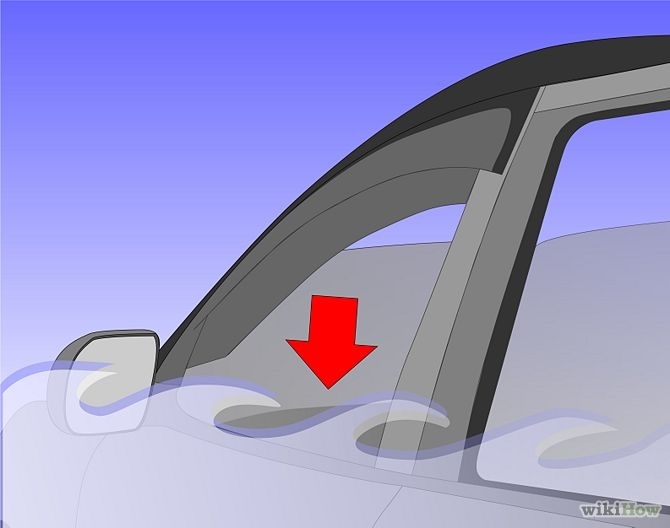 Immediately upon impact, you have only a few seconds in which opening the door of your sinking car is even possible–and that is while most of the doors are still above water level. 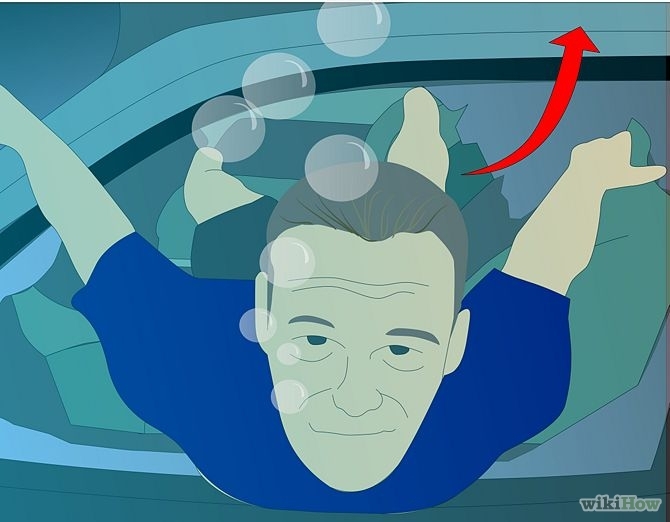 Once the car has started to sink, it is not humanly possible to open the door again until the pressure between the inside and the outside of the car has been equalized (leveled); this means that the car cabin has to be filled with water completely–and that’s not a state you want to be in. Moreover, Professor Giesler says that by opening the door, you invite a quick sink in place of the floating time available to get out. In his experiments with 30 vehicles, he found that all vehicles float, anywhere between 30 seconds to 2 minutes. You could be using this float time to escape rather than opening the driver’s side door and giving the water 5 to 10 seconds to sink the car and drown everyone in the backseat. NOTE: There are numerous theories that advocate staying in the car calmly until it hits the bottom, fills with water, and you open the door and swim up. Mythbusters termed this the “maximum conservation of energy” approach, and this looks viable when you watch it. The trouble with this theory (tested only in a swimming pool of known depth with a rescue crew on full standby) is that most times you won’t know the depth of the water into which your car has plummeted, so waiting this long will usually prove fatal. This method worked just over 30 percent of the time in Professor Giesbrecht’s study, while his S-C-W-O approach worked over 50 percent of the time. The end of the car that contains the engine will, usually, sink fastest, often leaving the car at an angle where the heaviest part of the vehicle is lower than the lightest. As such, you may be able to open some doors while the car is still floating. Break the window. If you aren’t able to open the window, or it only opens halfway, you’ll need to break it. You will need to use an object or your foot to break the window. 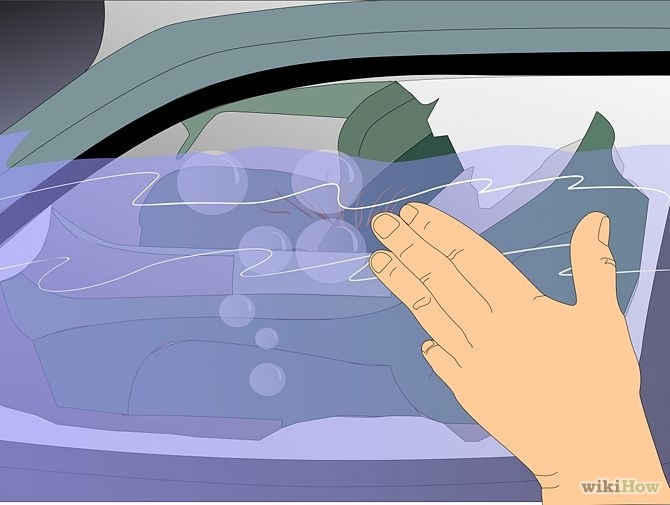 It may feel counter-intuitive to let water into the car, but the sooner it is open, the sooner you will be able to escape directly through the broken window. If you have no tools or heavy objects to break the window with, use your feet. If you have high heels, these might work when placed at the center of the window. Otherwise, Professor Giesbrecht advises that you aim to kick near the front of the window or along the hinges (see the demonstration in the video below). Be aware that it’s very hard to break a window by kicking, so find these breakpoints. Don’t even try the windshield; it’s made to be unbreakable (safety glass) and even if you did manage to shatter it (unlikely in the time you have), the stickiness of safety glass can make it hard to get through. Side and rear windows are the best options for escape. NOTE: If you have a heavy object, aim for the center of the window. A rock, hammer, steering wheel lock, umbrella, screwdriver, laptop, large camera, etc., might all serve as suitable battering objects. Even the keys might work if you’re strong enough. If you’ve already thought ahead, you might have a window-breaking tool handy in the car. There are various tools available. Professor Giesbrecht recommends a “center punch”, which is a small tool that could be easily stowed in the driver’s side door or on the dashboard for fast retrieval. This power punch is, usually, spring-loaded and can also be found in a hammer shape. Failing that, you could also carry your own small hammer. Escape through the broken window. Take a deep breath and swim out through the broken window as soon as you’ve broken it. Water will be gushing into the car at this point, so expect this and use your strength to swim out and up. Professor Giesbrecht’s experiments have shown that it is possible to get out through this torrent (contrary to some theories) and that it’s better to go now than to wait. Look to children first. Heave them up toward the surface as best you can. If they cannot swim, see if you can give them something that floats to hold onto, with strict instructions not to let go. An adult may need to go with them immediately if there is nothing to hold onto. NOTE: As you exit the car, do not kick your feet until clear of the car – you could injure other passengers. Use your arms to propel you upward. If the car is sinking quickly and you haven’t gotten out yet, keep trying to get out of the window. If there is a child in the car, tell him or her to breathe normally until the water is up to their chest. Escape when the car has equalized. If it has reached the dramatic stage where the car cabin has filled with water and it has equalized, you must move quickly and effectively to ensure your survival. It takes usually 60 to 120 seconds (1 to 2 minutes) for a car to fill up with water. While there is still air in the car, take slow, deep breaths and focus on what you’re doing. Unlock your door, either with the power button (if it is still working) or manually. If the doors are stuck (which they probably will be in most cases, with the pressure being massive), hopefully, you’ve been busy breaking the window already as advised in the previous steps. NOTE: Continue to breathe normally until the water is at chest level, then take a deep breath and hold your nose. Stay calm. Keep your mouth closed to preserve breath and to prevent water from entering. Swim out through the broken window. If exiting via an open door, place your hand on the door latch. If you are unable to see it, use a physical reference by stretching your hand from your hip and feeling along the door until you locate the latch. Swim to the surface as quickly as possible. Push off the car and swim to the surface. If you don’t know which way to swim, look for light and swim toward it or follow any bubbles you see, as they will be going up. Be aware of your surroundings as you swim and surface; you may have to deal with a strong current or obstacles such as rocks, concrete bridge supports, or even passing boats. If it’s ice-covered water, you’ll need to head for the obvious hole created by the car’s impact. Do your best to avoid injuring yourself on obstacles, and use branches, supports, and other items to cling to if you’re injured or exhausted. Seek medical attention as soon as possible. 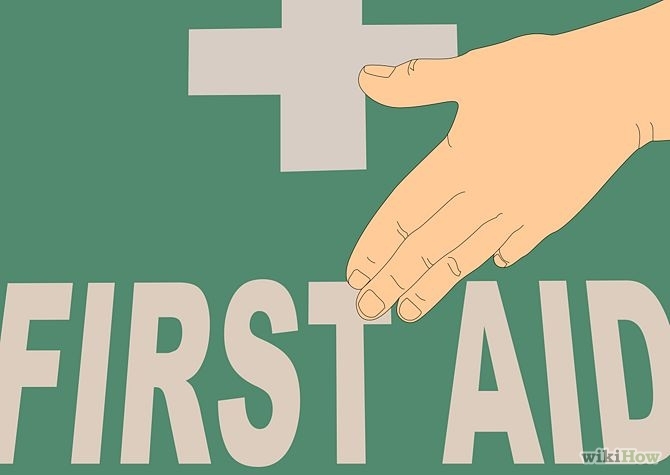 Before you go to a law firm like the Joye Law Firm (https://www.joyelawfirm.com/), make sure you haven’t suffered any major injuries during the crash. The adrenaline in your bloodstream after the escape may make you unable to detect any injuries you may have sustained in the accident. Hail passing motorists who can call for help on their phones and provide you with warmth, comfort, and a lift to the nearest hospital. Hypothermia may be a real possibility, depending on the water temperature, level of shock passengers and drivers are experiencing, and external temperature. Speaking of these kinds of accidents, my friend was in one recently and she got hit by another car into a lake! She decided to sue the other driver and that she needed a service similar to Florence Car accident lawyer. She was so happy to find the right lawyer and got the compensation she deserved. Truck accident attorney Los Angeles also does a great job. Share with us your comments or experiences about this topic.